There’s something new for fresh food in St. Joseph – yet it’s also surprisingly old. Friedrich’s Market, located on historic Frederick Avenue, is a cheerful local grocery store featuring fresh produce, meats, breads and cheeses. The concept is the village grocery store, but that’s just the top of the proverbial carrot. There’s so much more going on behind the scenes. Friedrich’s hosts cooking workshops, promotes community and downtown events to patrons and features popular weekend boxed meal kits. The store’s Facebook presence demonstrates their connections to the community, with more than 1,500 fans and active engagement. (As a side note, Friedrich’s oversized and uniquely tasty carrots are a quirky and talked-about item). The store feels new. Trendy. Hip. Yet the brick front building itself – built in the late 1800s – has gorgeous floors, windows and tall ceilings. Many interesting architectural elements have been lovingly retained and put into use to showcase the offerings. And while local food has been building great momentum for the past few years, the idea brings shoppers back to the way things “used to be,” when people shopped their corner store and built friendships around it. In fact, there’s a local stamp on many of the best-loved Friedrich’s items. The sourdough bread is made here in St. Joseph. The spelt grain bread is also made fresh, with grains from the newly opened Liberty Cap Brewery. Meats come from Paradise Meats, a regional favorite, and it’s not uncommon to see fresh herbs alongside an invitation to a fresh herb workshop. 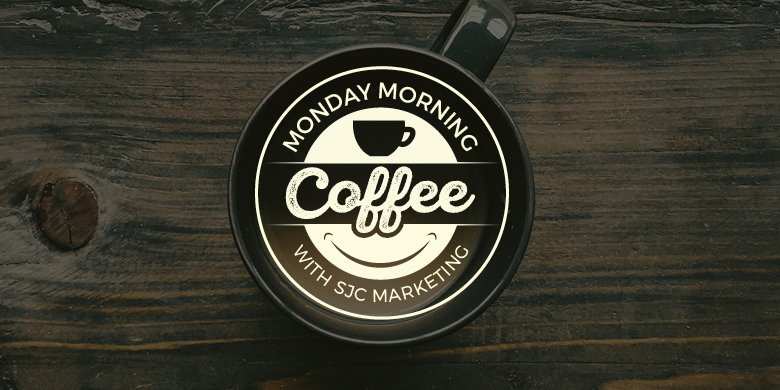 The coffee comes from Mokaska in downtown St. Joseph. When something’s in season, such as peaches, Friedrich’s brings it to shoppers on a reservation basis. This includes unique items, like a recent batch of Louisiana figs. All this local means quality and freshness, but it also speaks to Friedrich’s Market’s commitment to community. Frequent social media posts invite fans to try local “neighboring” restaurants and foods. Ingredients are swapped between these neighbors, such as bread from Friedrich’s appearing on the menu at area restaurants. There’s no sense of competition, but instead, of one community celebrating and sharing what makes it great. It’s a commitment that continues past just the food. Friedrich’s is active in the Historic Frederick Avenue community and others. A more modern twist on the market is the increasingly in-demand boxed meal kits. A recent “back to school” meal kit featuring local ingredients for lasagna, salad and garlic bread sold out quickly. Most of the meal kits do sell fast, and guests can shop online then grab and go. EBT cards are accepted at Friedrich’s, making fresh food shopping even more available. Modeling the convenience of other grocery stores, eggs, bread, vegetables, dairy and more can be ordered online and delivered or picked up in the store. (Only in this case, those items stay pretty close to their origin rather than traveling hundreds of miles by truck). 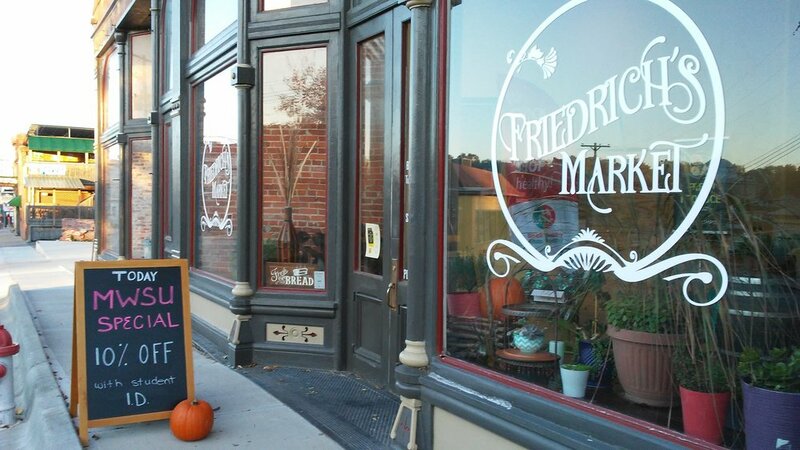 Today, tip your mug to all things local and explore Friedrich’s Market. In doing so, you’ll be part of a local community movement to showcase what’s new in fresh food – and simultaneously you’ll be part of the neighborhood store concept, feeding people fresh for generations.